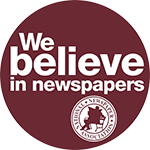 SPRINGFIELD, IL—People prefer newspapers for their local news over TV and the internet, according to a survey conducted for the National Newspaper Association. 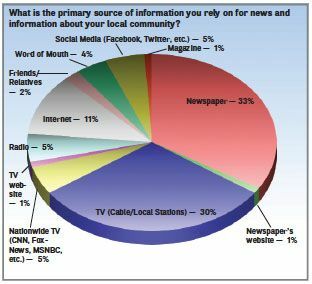 When asked if there were any other sources where respondents got their local news, the majority, 19 percent, said no. Of the others who had picked another main source for local news, the community newspaper came in next at 18 percent. 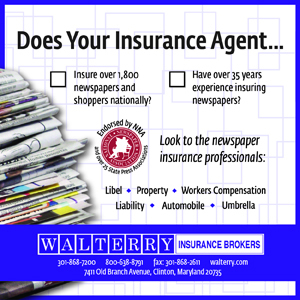 Fifty-six percent of the respondents said they read a print newspaper that covers their community specifically. Four percent read their local paper online only, and 7 percent read it online and in print, bringing the total to 68 percent who read a local paper. The reason people stick with their local paper is because they want to know about what is going on in their community. Eighty-four percent said they read their local paper for local news, information and obituaries. Only 2 percent read them for state and federal news. Nearly half, 46 percent, share their newspaper with at least one other person. But the sharing doesn’t stop there. Twelve percent share it with at least two people, 10 percent share it with three people, 6 percent share it with at least four people and 8 percent share it with five or more people. That adds up to 82 percent of local community newspaper readers who share their paper. The respondents indicated that they are interested in their local communities. More than half, 61 percent, read their local paper for school news somewhat often to very often. Forty-six percent read it for local sports somewhat often to very often. And 60 percent read their local paper for the editorials or letters to the editor somewhat often to very often. More than half of the respondents, 51 percent, said they read the public notices in their local newspaper somewhat often to very often. Totaling all the respondents showed that 81 percent of the respondents read public notices at least some of the time. Contrast this with the number of people who visit their local government website: Forty-six percent said they never visit their local government site. And just 25 percent said they visit their local government website somewhat often to very often. The local newspaper is an important part of people’s lives, according to the survey. Seventy-five percent of the community newspaper respondents said they look forward to reading their paper. Seventy-nine percent said they rely on it for local news and information. Sixty-seven said it entertains them, and 89 percent said it informs them. The local paper is also important for those who shop locally. 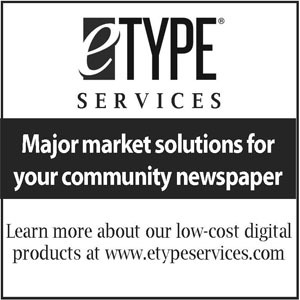 Seventy-nine percent said they find their community paper valuable for local shopping and advertising information. And although political candidates throw the majority of their ad budgets at TV before elections, it’s the local newspaper where people go to learn about those running for office. Forty percent of the respondents said they use the paper to help make up their minds about candidates and elections. This is probably because the majority of respondents who read their community newspaper said they trust their community newspaper more than any other news source somewhat well to extremely well, 54 percent. Those same respondents said that their paper really understands the things that are for special interest and importance to the people in their area, 76 percent. And 46 percent said their community paper does a better job than other news sources of helping them understand the news somewhat well to extremely well. For those who read community newspapers, 71 percent said their paper is extremely useful to them personally, from somewhat well to extremely well. At least 48 percent said they read their community paper somewhat to very often. Only 12 percent said they pay to read the paper’s content from its website. Most said they would not be willing to pay for access to news if the paper said it was necessary to charge for internet access to support its newsgathering efforts, 64 percent. The survey was conducted by Susquehanna Polling and Research based in Harrisburg, PA. From March 6 to April 5, the company contacted 1,000 households across the country. NNA members might find the full version of the survey on the website under the resources tab.